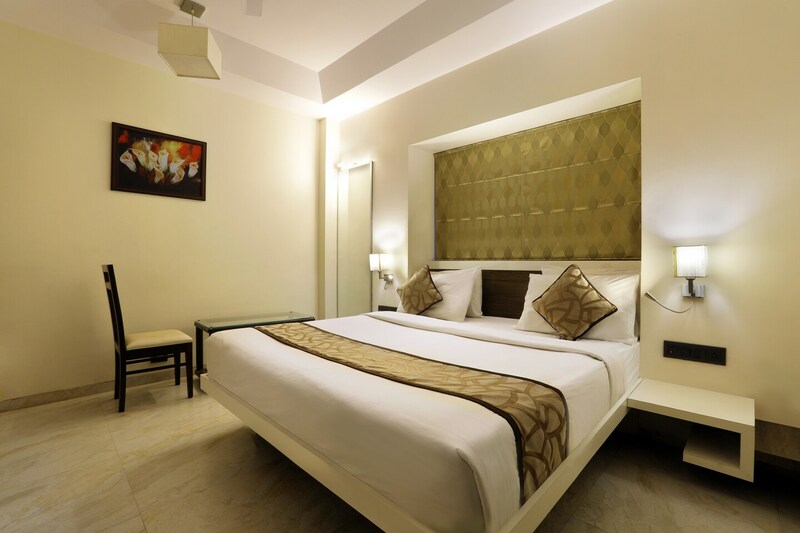 Hotel Deepali Executive is a modern property with elegant and spacious interiors, and it is situated on Jalna Road in Aurangabad. The CIDCO Bus Station and Mukundwadi Railway Station are very close to the property. Tourist attractions like Majnu Hills, Salim Ali lake and Chottu Waterfalls are less than 30 minutes away. The property has a stylish reception with wooden elements and well-lit hallways. Tastefully done up rooms here come with modern furnishings, soothing tones, bed side lamps and minimalist decor. The rooms have a warm glow and are very cosy. The bathrooms feature marble tiles and the latest fixtures. The rooms are equipped with TV, AC, and free Wi-Fi. The bathrooms have geysers. The hotel also offers an elevator, parking, power backup, CCTV security and laundry services. The restaurants in the vicinity of the hotel are Naivedya, Green Leaf, Kream N Krunch, and Mokoholic Juice Bar.